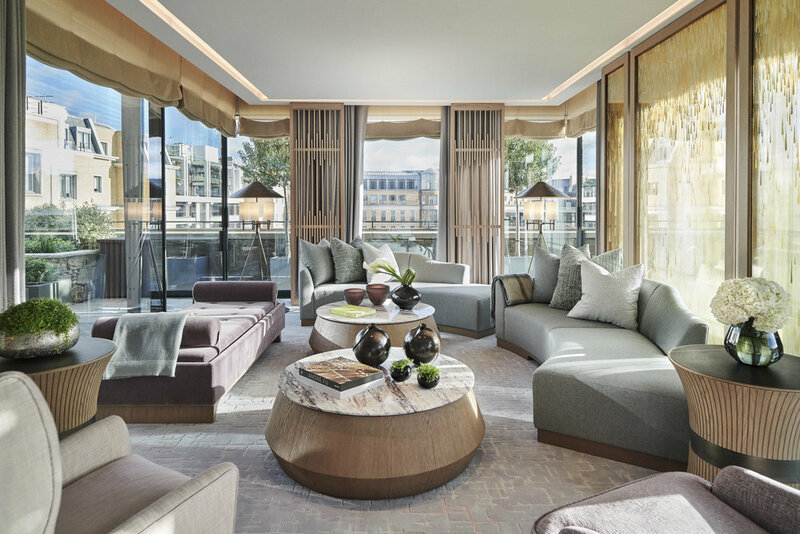 Launching today, the Pavilion Suites at The Berkeley designed by internationally renowned interior architect André Fu and his studio AFSO, are the two newest additions to the modern make-over of the classic London hotel. Following a major redesign of the front entrance, a new look to the Blue Bar and Collins Room, an extensive new ballroom and the introduction of a variety of new suites, the signature Pavilion Suites take The Berkeley to the next level of contemporary luxury. 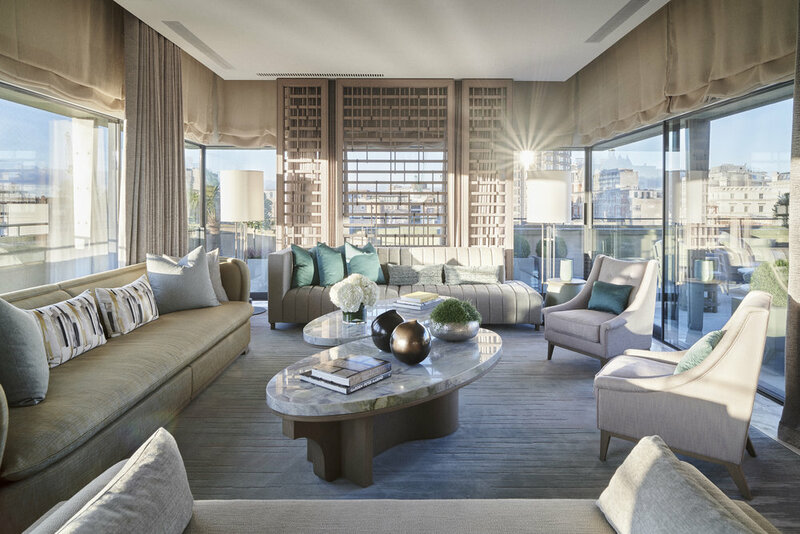 Two of the largest and most luxuriously decorated suites in London, each one is predominantly created within a glass pavilion surrounded by sweeping terraces overlooking Belgravia and Knightsbridge. The glass structures offer a dramatic sense of space, filling the suites with an abundance of pure, natural light and a serene sense of urban escapism, and transporting guests above the rooftops of London. Showcasing Andre Fu’s characteristic relaxed style of understated luxury, conveyed through light, space, texture and colour, the Pavilion Suites – the Crescent Pavilion and Grand Pavilion – are designed to feel like a residential home for long-stay guests. The new suites give The Berkeley four signature suites including The Apartment opened in 2017 by John Heah and the Opus Suite, launched in 2012 also designed by Andre Fu. Guests will enjoy the hotel’s exclusive ‘Signature Service’ created specifically for these four suites, providing direct access to their own private liaison throughout their stay to organise their every request. Additionally, these Signature Services include the option of a unique culinary experience from legendary two Michelin-starred chef Marcus Wareing, whose dishes can be served in the suites, as well as access to a Blue Bar mixologist to create cocktails in the privacy of the suite and the use of a beautifully tailored classic Burberry Trench Coat throughout the stay come rain or shine. With the dramatic effect created by the glasshouses, the Pavilion Suites take the art of entertainment to a new level, whether it’s an intimate dinner or a lavish cocktail party on the terrace. AFSO is an internationally acclaimed design studio in Hong Kong, founded by the architect André Fu. 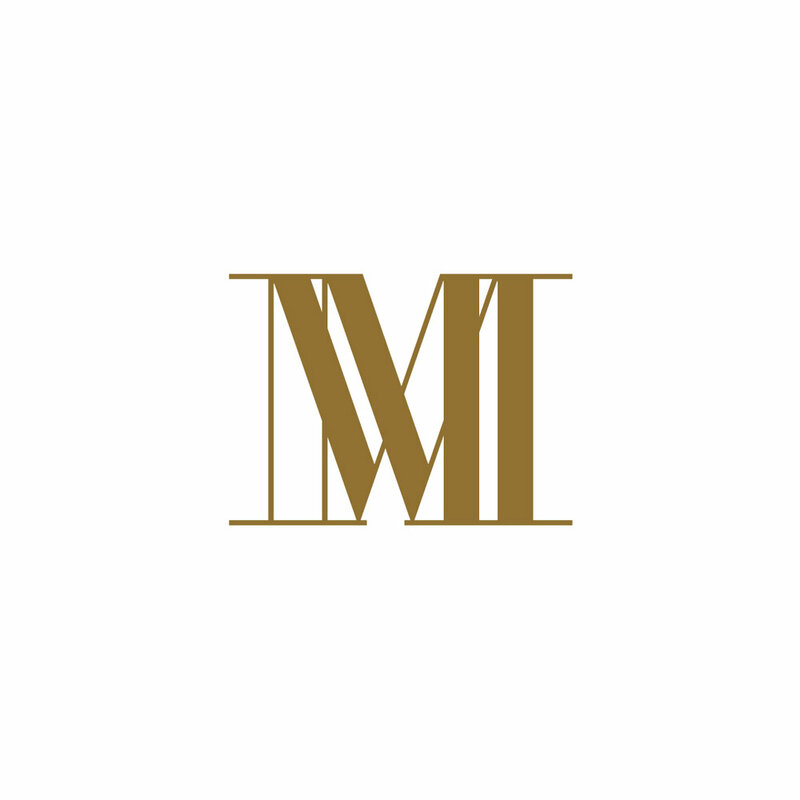 With an extensive portfolio of projects throughout Asia and Europe, the studio has revolutionised the concept of modern luxury with a series of projects that reflect Fu’s signature artistic perspective and timeless sensibility.